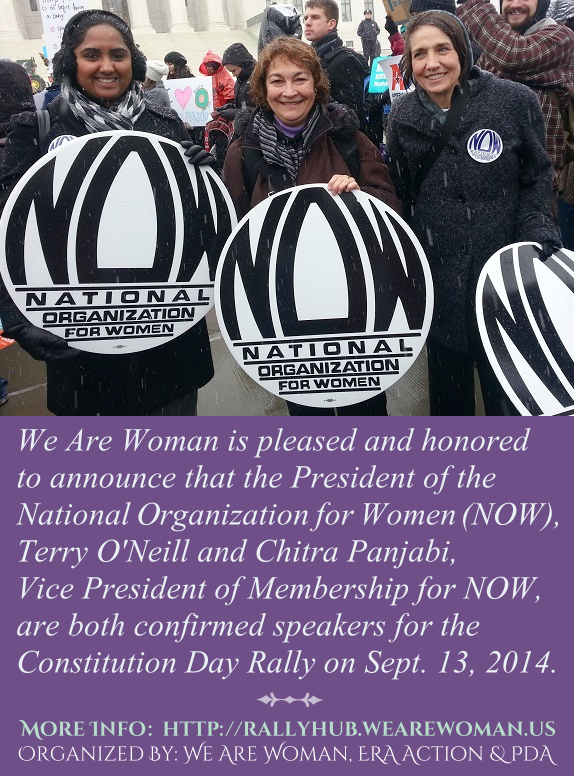 We are pleased and honored to announce that Terry O'Neill, President of The National Organization for Women (NOW), and Chitra Panjabi, Vice President of Membership for NOW, are confirmed speakers for the We Are Woman Constitution Day Rally on September 13, 2014. The rally begins at 9:30 a.m. and will be held on the West Lawn of the U.S. Capitol in Washington, D.C. For more information visit the RALLY HUB. 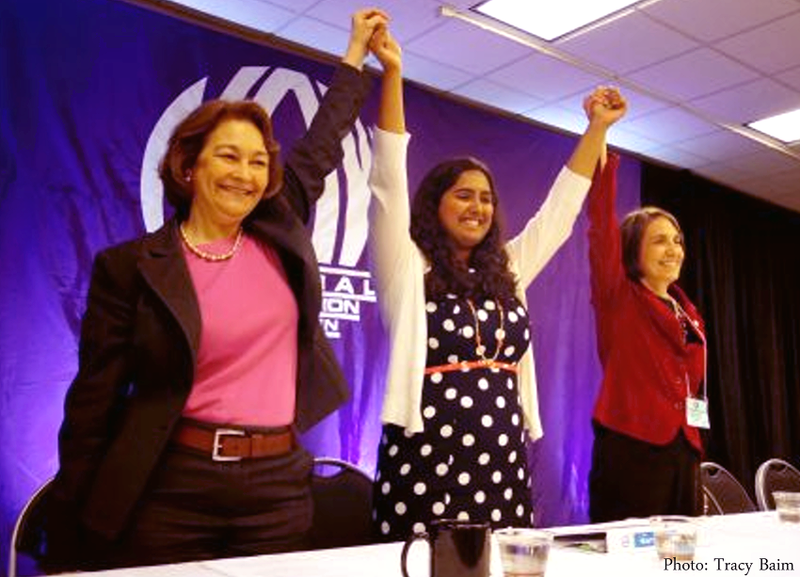 You can view the rest of our speakers HERE.